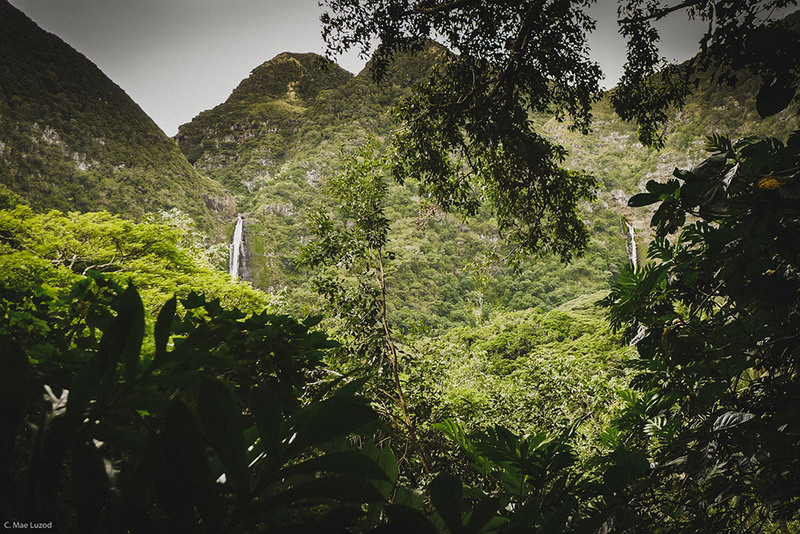 Travel to Molokai - Halawa Valley Memories 2013 | thereafterish. 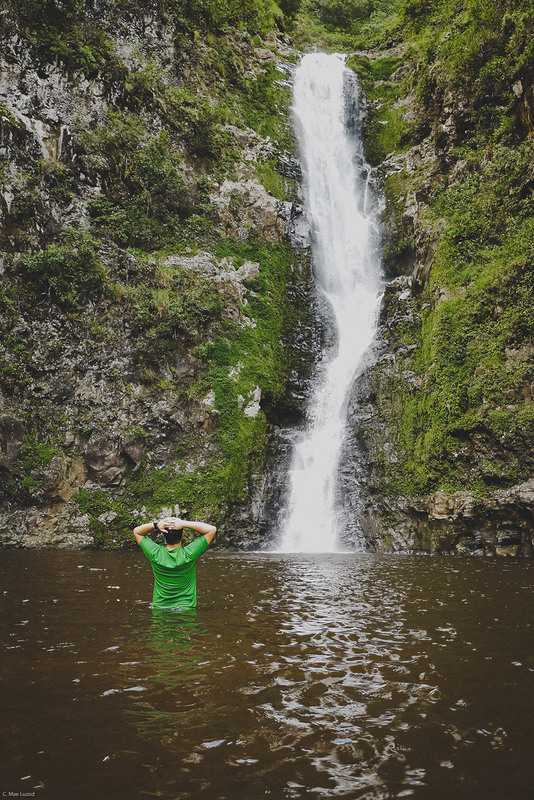 Travel to Molokai - Halawa Valley Memories 2013 | thereafterish. If you ever thought about coming to Hawaii, consider travel to Molokai. It’s one of the least populated, dense, or well-known of the Hawaiian Islands. With only one or two gas stations, a single traffic light, and no fast food or Starbucks in sight, setting foot on this dry isle will feel like walking into the Frontier Days of Hawaii of old. In 2013, I cashed out a savings account I’d been squirreling away monies into to celebrate N’s thirty fifth birthday. He’d been curious about the “Friendly Isle” since we’d moved to Hawaii. We knew virtually nothing about the island other than that it was quite remote, had no businesses there, no restaurants or fast food (a plus), and coffee was grown there. 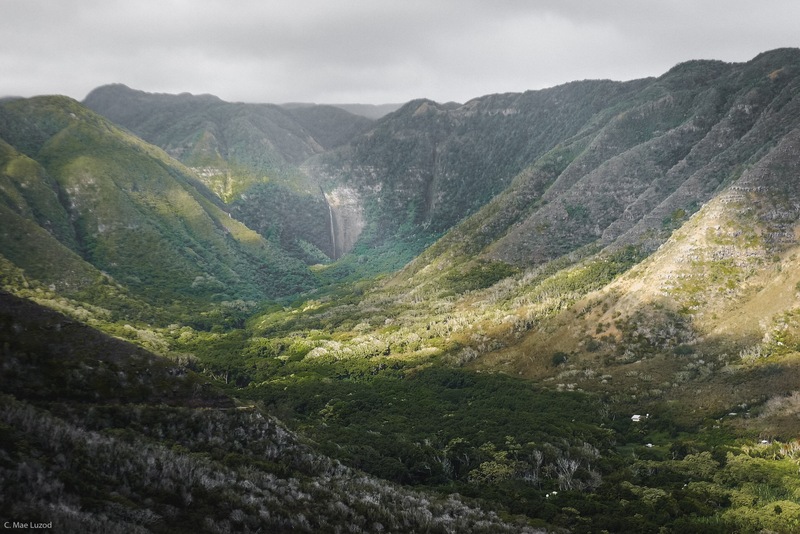 Molokai is the 5th largest island in the Hawaiian Archipelago, but is actually quite small. It stands about 4,600 feet at its tallest point at Kamakou. It’s only 10 miles wide at its widest point, and 38 miles long… with only about 261 square miles of livable, usable land. At the time of the 2010 census, Molokai had less than 7,500 residents. The main industries are ranching, agriculture, and tourism. Though with few hotels and amenities, only the most adventurous and hardy travelers who don’t mind off-roading, going off grid, and getting dirty will truly enjoy the experience. When we arrived, the airport was a two room “shed,” like an oversized car port with one derelict baggage carousel, a couple of flight kiosks where ticketing, check-ins, and car rentals were handled. Arrivals deplaned in the exact same area where flyers waited to depart. The rooms were filled with tense energy from the ensuing chaos and general disorder from so many transactions and travel plans occurring in a single spot without clear organization or directives. We managed to get our Jeep car rental and we drove into town. Kaunakakai, the single main town on the island, is about 3-4 blocks long with only two streets passing through. There are two general stores, a handful of plate lunch or Asian restaurants, a bakery, a natural food store, a hardware, and one bar/restaurant called Paddler’s Inn. Roaring loud music from a live band filled the air near Paddler’s and warm, red light from the outdoor stage glowed up and over the walls of the venue, and we felt like we needed to eat there. Plus we needed a beer. The food was passable (nothing to write home about, but nothing to complain about either), and the band enthusiastic. We had both worked a full day that day, so we ate, enjoyed the band’s performance, downed a few beers and then headed to our hotel. 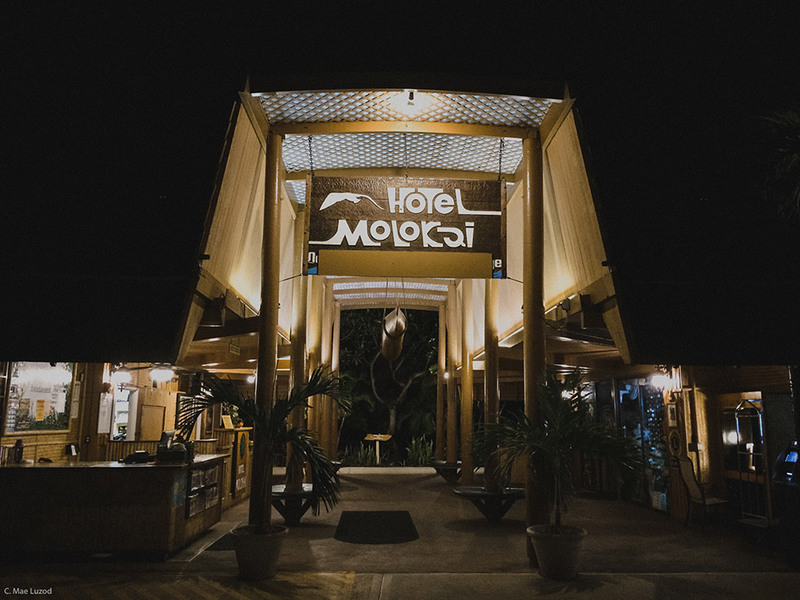 Hotel Molokai looks like it was built in the 50s in the style of what a Mainlander would envisage as the “quintessential” tropical hotel. Stilts and pillars, open air rooms, very little in the way of modern luxuries one equates with your run of the mill hotel. The rooms were spartan, but again I say “passable,” the bed was comfy and the water was hot. Though they advertised wifi capabilities in their brochures and website, no signal was to be found. Back then, I was more obsessed with social media than I am now (that says a lot), and the wifi weakness frustrated me to no end. My priorities were in the wrong place, obviously. The hotel fee included a guided hike of the historic and remote Halawa Valley with a cultural ambassador. I had never heard of the valley, but Nate read about the valley on Cory Yap’s blog, Aloha from 808, and was intrigued. At this time, we had been hiking almost every weekend for the better part of two years. The idea of exploring other islands thrilled us; discovering new flora and fauna, seeing new vistas over I conquered valleys, traversing paths not often traveled. Adventure at its best. Day 2 on the island, we drove down the southern coast to where the road narrowed to a single track dirt road. The phone network and reception faded miles before we turned the corner around Molokai’s eastern side. As we rounded the corner, the world opened up, and there she was. Halawa, the mouth of the valley, the crescent moon white sand beach, the dense valley forest speckled with different shades of emerald, dappeled light from fast clouds raced across the walls and valley floor. We met Uncle Pilipo Solatorio near the ruins of an old school at a picnic area. His great nephew Gabe greeted us, garbed in a traditional Hawaiian sarong. After a brief history lesson about the valley, Uncle Pilipo parted ways with us, and Gabe walked us to the trail. I can’t really describe the hike through the valley and do this sacred experience justice. Gabe explained further history of the valley while pointing out features of settlement and ancient structures, native flowers and plants, lo’i (taro patches) and farming techniques from the few families still living in Halawa. About 2 miles in, the forest opened up to the rivers formed by two huge waterfalls raging from the back valley wall. We made an offering and set foot into the dark brown pool below Mo’o’ula, the Red Gecko Falls, named for the gecko-shaped rock standing sentinel above the cascade. The falls are thick and tall, water gushing and rushing down the cliffs into a wide, dark pool. N ventured in and stood in awe of the sheer power of the falls. I sat at the waters edge in silence. I have no idea how long we were there. After we trekked back past heiau, old ovens and structures hidden under forest and vegetation, Gabe took us to the library and museum to look at artifacts on the history of the valley before we went back to the car for a late lunch, then an exploration of the two beaches. The water rushing onto shore of the two beaches frothed white, and the blue of the bay shone like a gorgeous kaleidoscope. By this time, lack of wifi and cell reception were long forgotten, and only the humbling energy of Halawa buzzed through me. Uncle Pilipo Solatorio is the last living Hawaiian born and raised in Halawa. Chosen at a very young age to be Halawa’s Cultural Practitioner, he educates Kama’aina and visitors alike about the valley’s culture, history, and traditions. Greg, his son, recently returned to the Valley to carry on the family business and preserve Halawa’s legacy for future generations. If you ever travel to Molokai, make sure to contact Uncle Pilipo and his son Greg to truly get the full experience. Their website is here: Halawa Valley Guides. Because nothing I say can really describe the incredible beauty of Halawa, check out the picture gallery below. I’ll never forget visiting this amazing place, and it’ll leave an indelible mark on me as long as I live. Travel with only the best adventure partner. He loves adventuring with me. White sand beach at Halawa Valley next to a black sand beach near the mouth of the river. Twin waterfalls at the back of Halawa Valley. I don’t know the name of the one you see here. Close up of a gorgeous hibiscus in the wild. If anyone can tell me what this is, I would be so happy. Offerings to the gods of the waterfalls. I’ve been hiking in these same trusty Inov8s for 5 years, and they’ve seen some major adventures in this time. He was humbled and floored. What’s a special place you visited recently?